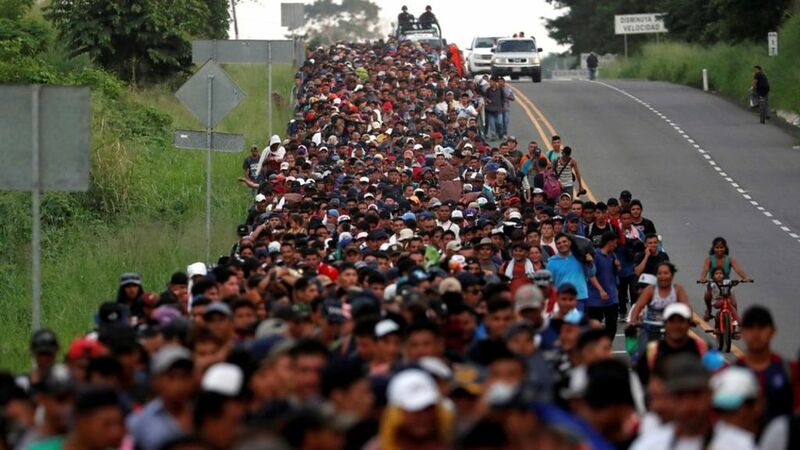 Report: The “Mother of All Caravans” is Now Marching Towards U.S. Earlier this week, President Donald Trump said that due to a lack of help from countries like Mexico, El Salvador, and Guatemala (as well as stubborn inaction on the part of the Democrats), he may be left with no choice but to shut the border down entirely. On the same day, Customs and Border Patrol announced that illegal immigrants were breaking daily records going back ten years, the flow was so strong from the south. And in the meantime, Mexican officials say they are bracing for the arrival of a caravan of Central American immigrants far larger than those that have come before. There is some doubt as to whether the caravan in question is as large as Mexican officials fear. Immigrant activists and the Honduran government have denied the numbers quoted by the interior secretary, saying that no caravan of that size exists. Oh, we kind of doubt that, considering that groups like Pueblo Sin Fronteras are downplaying the figures. If they thought this would “promote” more people to join the caravans, they would be embracing that “mother of all caravans” label in a heartbeat. No, what both Honduras and the activists are concerned about is that a caravan this size might finally wake the American people to the crisis we’re facing at the border, put pressure on Democrats to work with President Trump, and eliminate the lax immigration policies that led to this ongoing disaster in the first place. And THAT is the last thing they want.